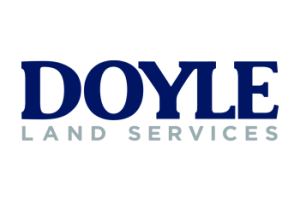 Doyle Land Services, Inc. is a professional land services firm whose focus is providing quality land services in support of the Energy Industry throughout the United States of America. During our 39 years of service we have also supplied major support to the Transportation and Telecommunications industries. Our client support is complete, ranging from providing the full suite of land services needed to support our clients largest major capital projects to supporting their day to day operations and maintenance needs. Timely and professional land and right of way work requires a quality plan of action, experienced leadership, and a skilled team. We provide all of these elements to consistently produce the finest land services support on the market. In support of our teams and our clients, we have developed what we believe to be the finest (and most flexible) Right of Way Data and Mapping System in the land services industry. We provide these systems to our clients at no expense when coupled with our other services. Thank you for visiting our site and please don't hesitate to call or write with any questions you may have. Please review our Geographic Resume, State by State, to get a better understanding of the depth of experience we have across the United States.